This ancient Greek helmet was captured in a battle between two city-states, Argos and Corinth, and was dedicated by the winners to the Greek god Zeus at his sanctuary at Olympia. City-states in Greece were often either united against a common enemy or at war with each other. By the V century BC a key element in warfare was groups of heavily armed soldiers known as hoplites, a name derived from the round shield (hopla) they carried. Each city-state was defended by its own citizens, and the hoplites were usually the richer men, as equipment was expensive and each soldier had to provide his own. 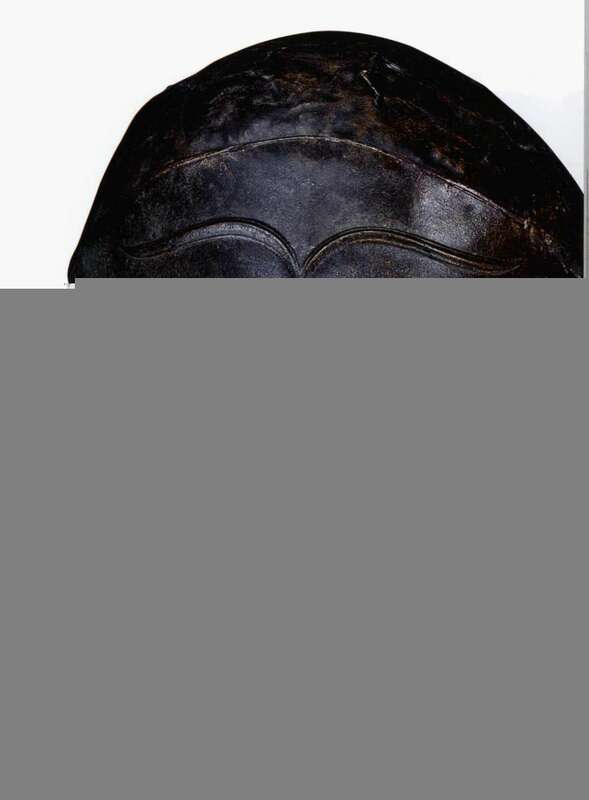 Hoplite armour varied according to region; this bronze helmet is of the rather elegant shape particularly associated with the city of Corinth. Beaten out entirely from one piece of bronze, it required exceptional skill on the part of the bronze-worker. Probably from Corinth, south-central Greece, c. 460 BC. Bequeathed by R. Payne Knight.